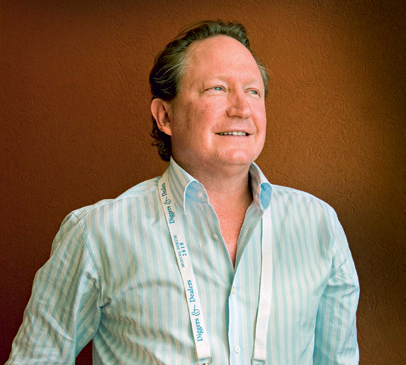 Billionaire mining magnate Andrew Forrest is the chairman of Fortescue Metals group, formerly Allied Mining. Forrest, since taking control in 2003, estimates to extract 2.4 billion tonnes of ore worth around $280bn over the next 40 years. The iron ore entrepreneur is known to be a hard-working, down-to-earth individual. He led the company to new highs through significant deposits at Tongolo, Christmas Creek, Mount Nicholas and Cloudbreak. Forrest’s talent in creating the fifth-largest company in the field, coupled with his dedication to offering assistance to Aboriginal communities, is considered highly admirable.